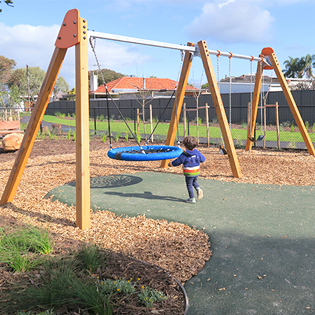 Thanks to an array of quality Moduplay play equipment, the Jervois Street Reserve in South Plympton is now a beautiful play space and park for locals that will delight and entertain children of all ages and abilities. 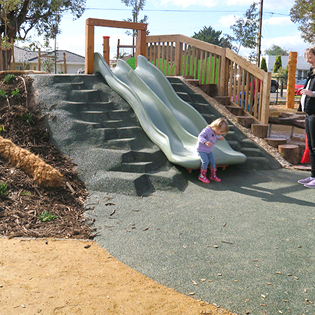 After 3 years in the making, the Jervois Street Reserve in South Plympton is now open for play. 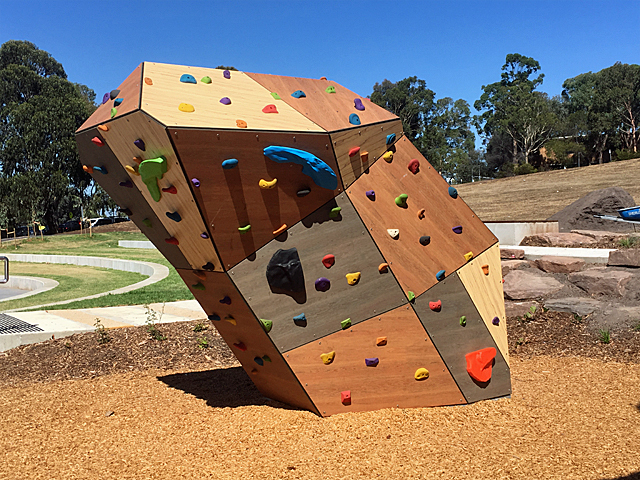 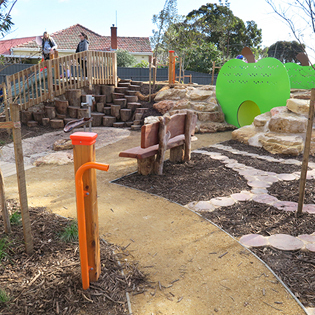 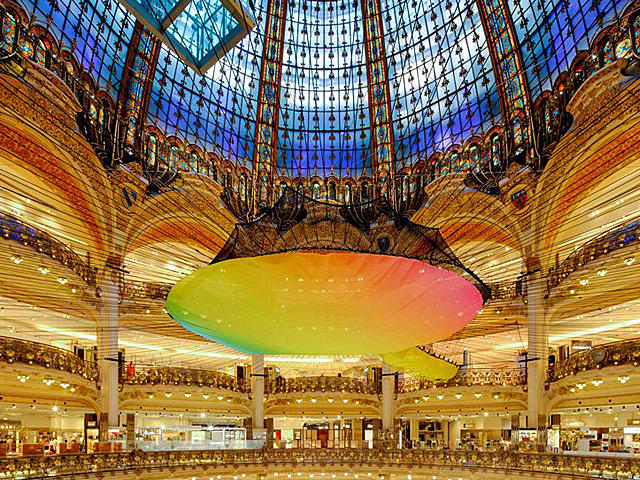 The park was the result of a collaboration of companies, including Moduplay, Australia’s leading source of playground solutions. 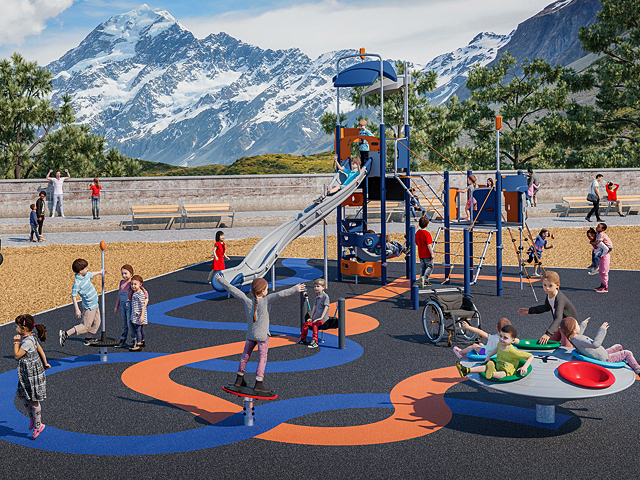 The product of two years of community consultation with local residents, schools, and other community groups, the result is a park and playground that the City of Marion is proud to showcase. 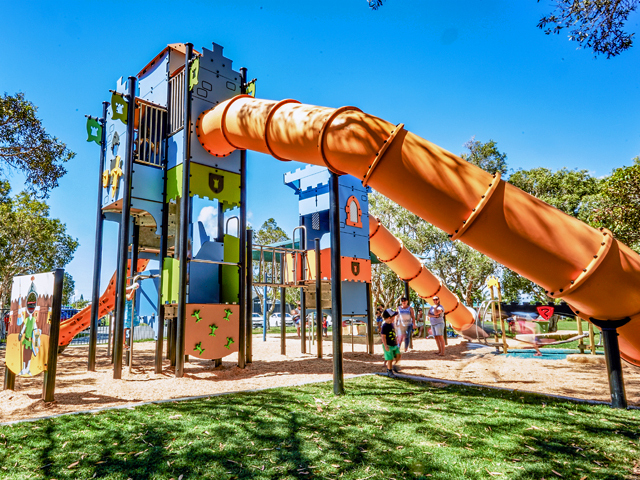 The park comes fully equipped with a number of wonderful elements and activities for all ages, including a toddler/junior nature-based playground that is fully fenced with sand play, water play, slides, and swings. 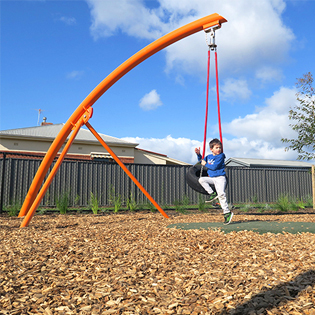 An older child playground is also available, featuring more advanced climbing equipment and a flying fox. 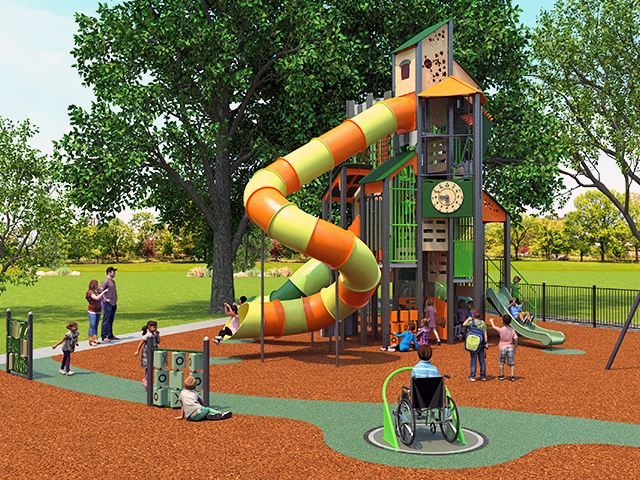 Moduplay contributed a number of elements to this project including the swings, twin-mound slide, which allows children to race their friends, voice tubes, and a rope structure, to make for a more tactile learning environment for older children. 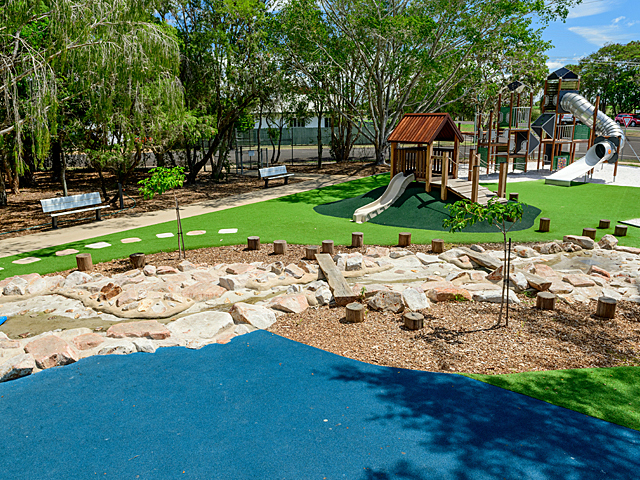 In addition to the playground, Jervois Street Reserve boasts a plethora of sports facilities, including a bike, scooter and trike course, chess tables, fitness equipment, an oval for ball sports and exercise, ping pong tables, basketball and netball courts, and barbecues with sheltered tables and seating. 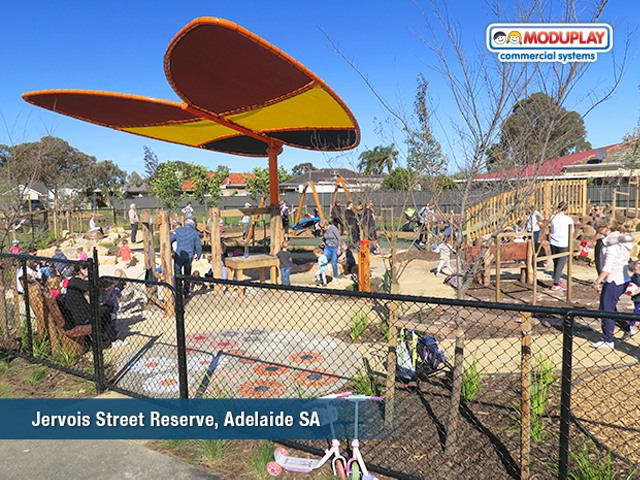 Locals are thrilled to have a beautiful reserve with such wonderful playground spaces that their children can enjoy for generations to come, and Moduplay is proud to have helped make this happen.